Queen Tyrannatrix's originally intended the Game of Suitors to comprise of different trials every year, to keep the contestants guessing and the spectators interested. However, over the course of the competitions history a few events became so popular with the crowds that they've become a permanent feature of the Games. Local children take pot shots at contestants while they make perilous leaps across a pit of carnivorous gulp worms. 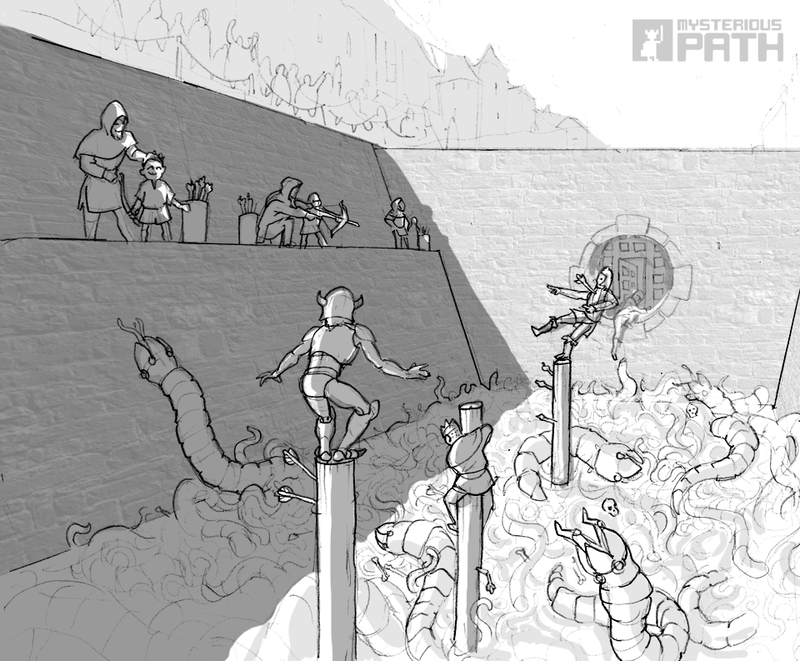 Whether slain by an arrow or swallowed by worms it's fantastic family fun. Also inspired a popular boardgame. 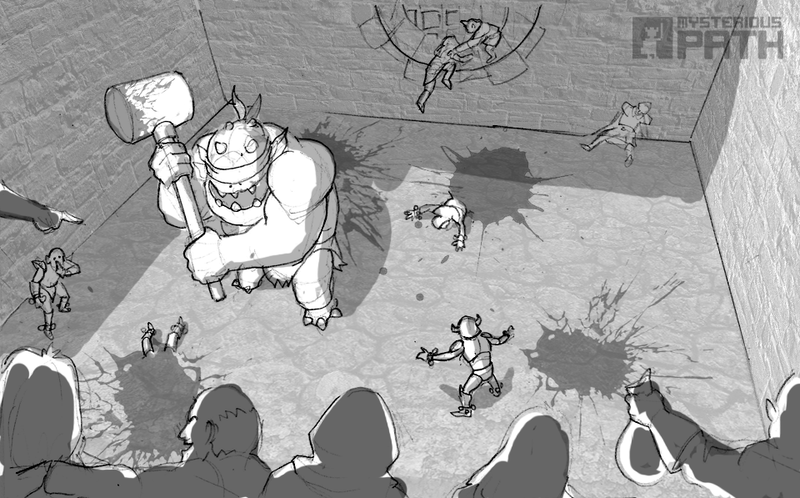 After being fitted with jesters bells around their wrists and ankles, contestants must make their way past a blind-folded ogre welding an immense hammer. Jingle.... Splat... Hilarious! Forget Dungeon Master... meet Dungeon Mistress (a.k.a Queen Tyrannatrix)the despotic ruler of City Twinge and surrounding lands. She would like to meet a sensitive with a good sense of humour.